I like eggplant, especially Asian eggplant for its thin skin and delicate flavor. And whenever I make curry dishes I tend to throw in one or two eggplants. They pair very well with crab or fish. In a heavy bottom pan over medium heat, fry the eggplants in some vegetable oil. Reserve. Fry the onions in some vegetable oil. Add the garlic, curry powder and tomatoes. Cook until a paste consistency. 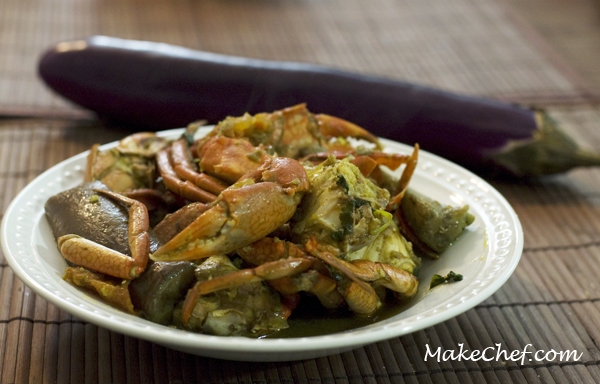 Add the crab to the sauce and add 2 cups of water. Cook until the crab is done. Add the eggplant and remove from heat. 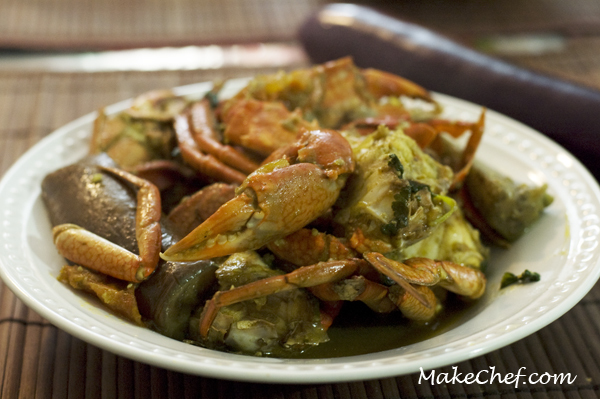 This entry was posted in Curry Powder, Seafood and Fish and tagged crab, Eggplant, Indian Ocean, Madagascar.